« Day 46 in Beijing: Hey, LeBron, Grab Me A Beer! Day 47 in Beijing: Iron Man? Nope, Iron Ladder! Fashion in Beijing is diverse. It reminds me of San Francisco. I’ve seen people at upscale events wearing t-shirts and blue jeans. I like to be comfortable so I feel right at home. At work, my attire is more formal. I wear slacks and button up shirts. 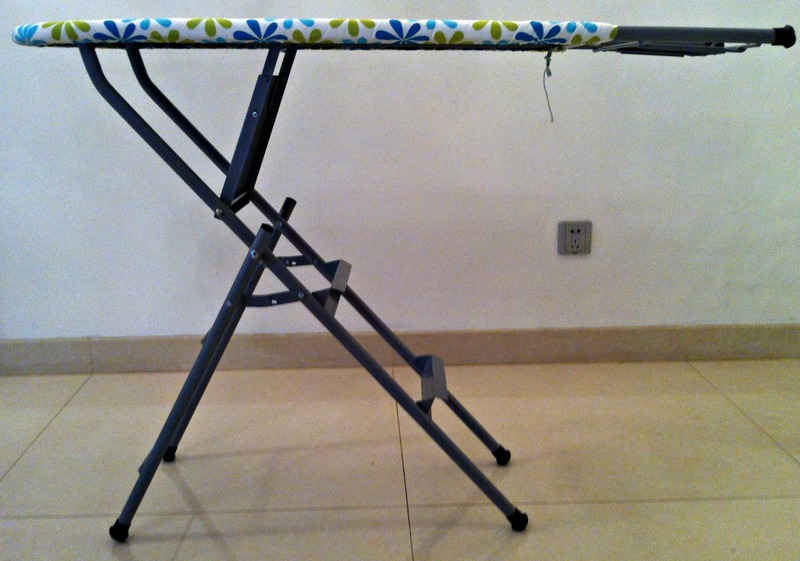 I needed a nice iron and ironing board. 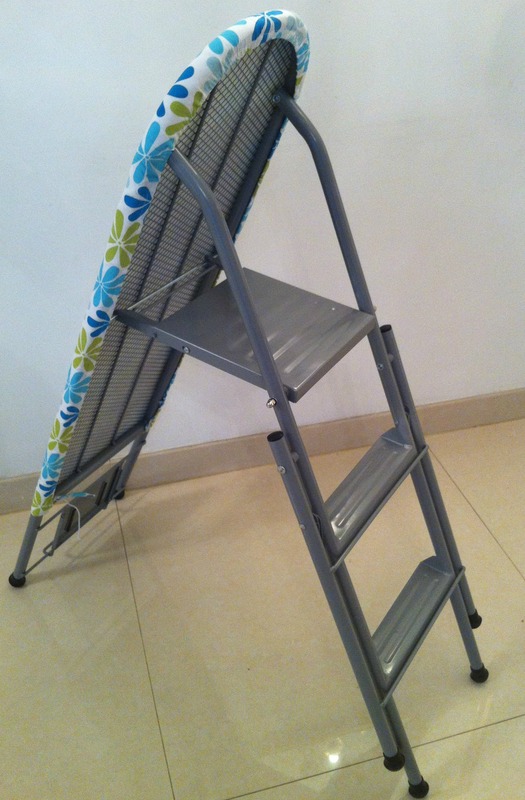 Instead I bought an iron board/ladder combination. 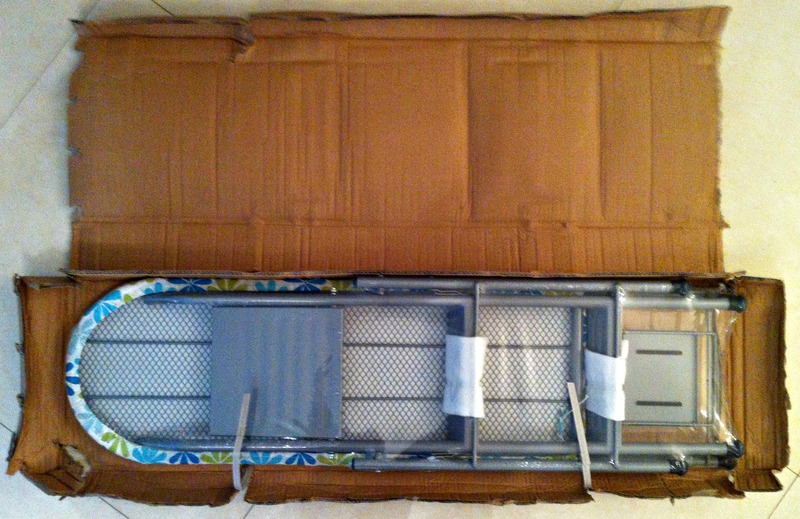 The Iron Ladder just arrived! It is ready to burst out of its box! Delivery was as scheduled and fast! Almost ready free to Iron Ladder! 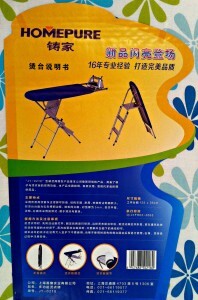 Time to set it up and let the Iron Ladder go to work on my clothes. 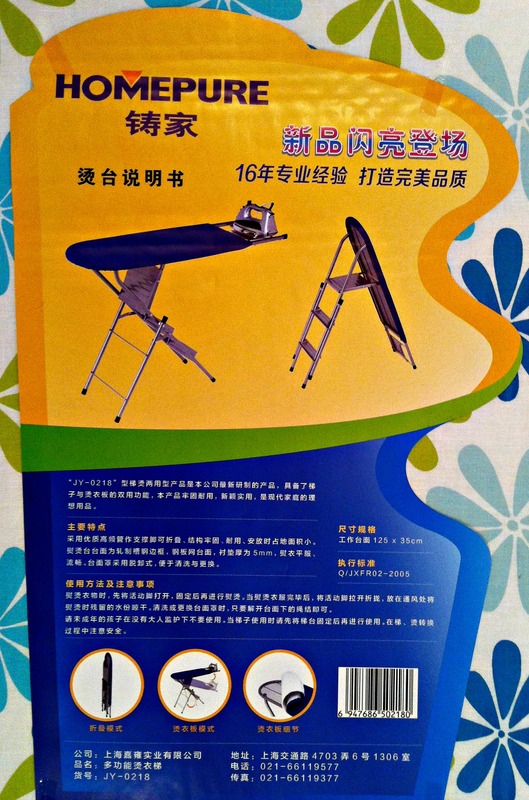 Everything you need to know…if you can read Chinese. 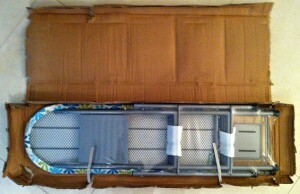 Just need to read a few instructions to figure out how to set it up. Or, in my case, guess. Dig the 1960’s wild hippie designs on the cover of the Iron Ladder board. The leaning tower of Iron Ladder. It reminds me of a transformer. I wonder if it gets up and walks around at night when I’m asleep. The Iron Ladder ready to do double duty! Iron, or climb away, to your hearts content!